The original wood shake roof on our 20-year old home started to get soft from all the rain we have here. I had two companies tell us it needed replacing and from the ladder I could see that it was time for an upgrade. We studied the DaVinci brochure and then drove to a location with this polymer roof. I liked what I saw, so we requested samples and reviewed them. We could tell the product was tough and durable with a good look to it. Investing time to research our options really paid off. The company’s warranty is unbeatable and the roof looks sensational. I would recommend this roof to anyone because it resists moss and mildew so the roof is virtually maintenance free. Even the birds that used to gather on our old wood shake roof are finally gone. 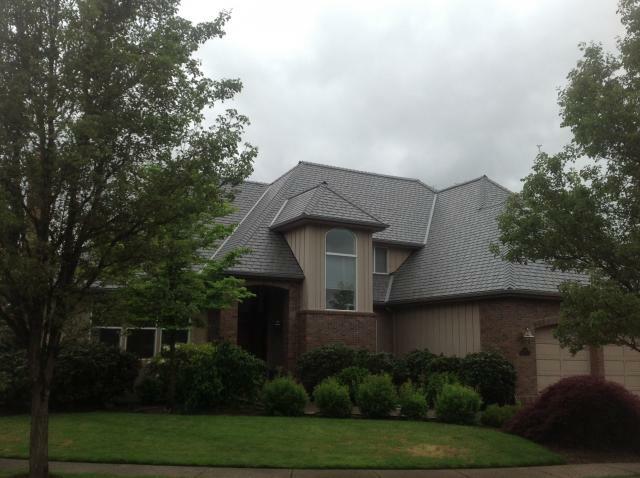 So this roof has solved many problems for us while enhancing the look and value of our home.